Spring is about to spring! While it doesn’t yet feel like spring, we are seeing signs of green and the sun is coming out more frequently. Some team members are taking small breaks to get reinvigorated with their families. May any of you travelling for spring break be safe and enjoy your vacations! This month we are featuring some repeat clients and new clients in the markets that we office. Keeping repeat clients happy and referrals from those clients is how our business has grown over the years. On a fun note, our President, Jon Robinson, is running for “Sole Man of the Year”, supporting Gleaners Food Bank and the hungry of Indianapolis. If you feel so inclined, please check out his fundraising page here. We are proud of his efforts! Additional photos of these projects below can be viewed on our facebook page. If you’re interested in talking with us about a potential project or partnership, please contact Lauren Kriner at lkriner@capitolconstruct.com or 317.574.5488. STARBUCKS, Westfield, IN- 2,600 Sq. Ft. 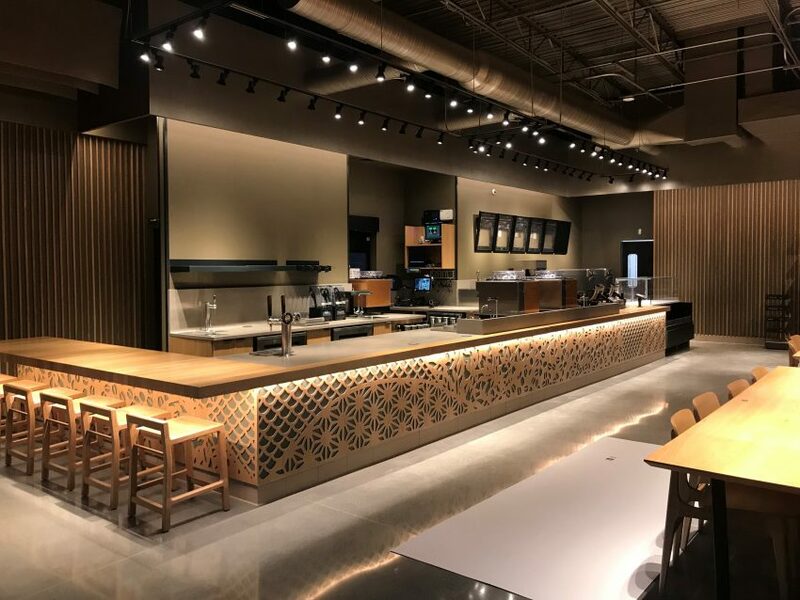 The long-anticipated opening of Westfield, IN’s first Starbucks with a drive-thru happened this month at SR 32 & Oak Ridge Road, just to the south of the highly-trafficked Grand Park Sports Complex! The beautiful new cafe is 2,600 square feet and was designed by Michigan-based Design Forum. A great variety of seating, and perhaps the most-important feature, a drive-thru, is offered here! Our Starbucks team continues to stay busy with new stores and remodel work. 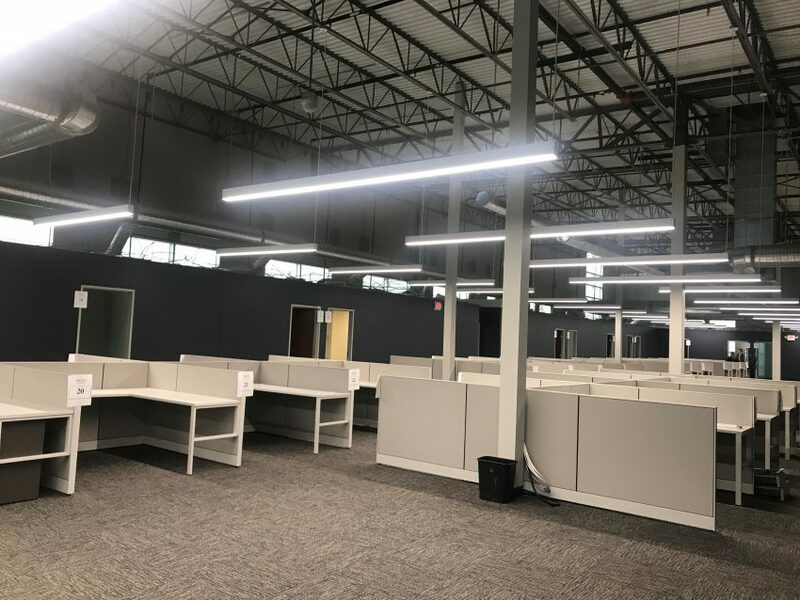 Engineering-supply company, Echo, established in 1966, moved into a new 27,500 square foot office and warehouse space this month, located in the Spohn & Associates building in Indianapolis. Capitol just finished up remodeling the space by opening up ceilings throughout the office, installing all new LED lighting, new carpet and paint, as well as all new electrical in their warehouse. Curran Architecture worked with the team on design and selections. It’s an exciting move for the Echo team. B. GOOD, Naperville, IL- 2,000 Sq. 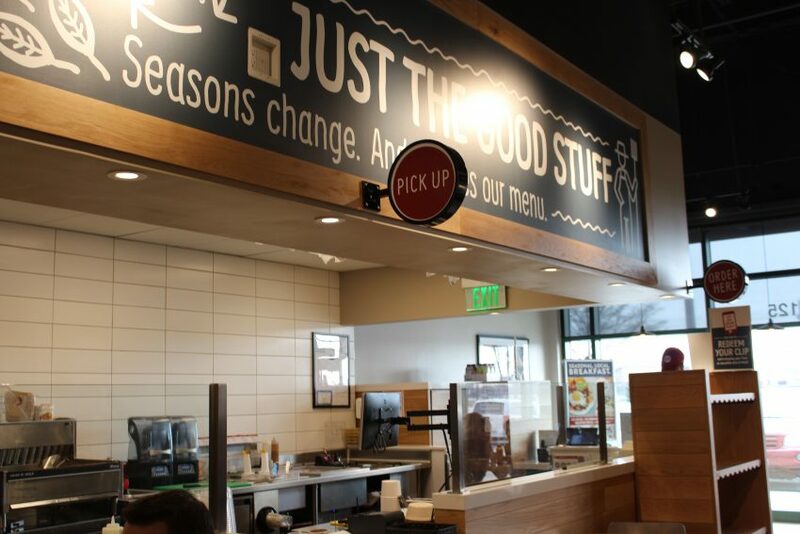 Ft.
B.Good, the innovative fast casual, farm-to-table restaurant chain, is now open in Naperville, IL. Capitol Construction’s Chicago team just completed the build out of this third location in the area. The 2,000 sq. ft. restaurant features outside patio seating. G3 Architecture out of New York, NY was on point with the design. ZEHNDER, Nashville, TN – 6,200 Sq. Ft.
Capitol’s Nashville team completed a unique project within the Sawtooth building, located in the Wedgewood Houston area, which was built in the early 1900’s! 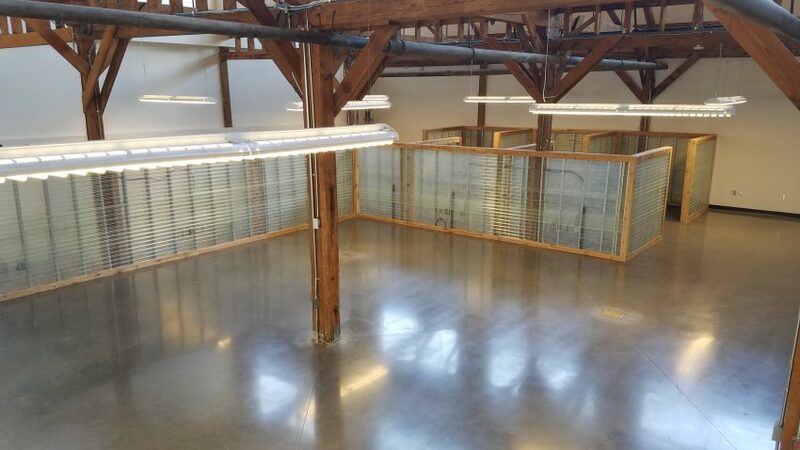 Holladay Properties acted as the Designer and Construction Manager, hiring us to buildout the 6,200 square foot office for marketing agency Zehnder, exposing original building elements.